Connecting – developments in digital media have realized the capacity of personal devices to be used as tools for societal impact. Digital media and digital media design has been made more accessible through new technology. Concepts like ‘internet of things’ enable you to connect. The potential and scope of this technology is no longer restricted to multi-nationals and research institutes, but is available to start-ups, local entrepreneurs and individuals. Live experiences and connectivity with fans and followers are within reach. 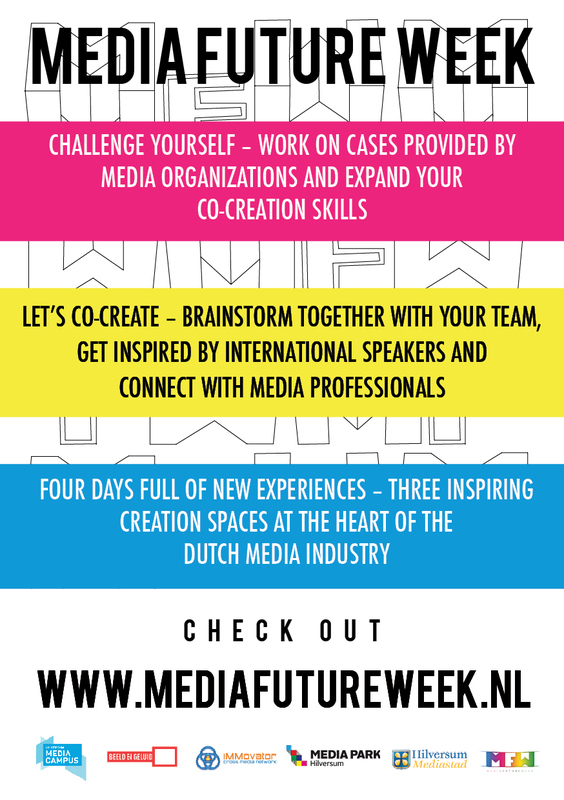 During the Media Future Week, the participating students will work on specific concepts in order to explore examples of the tangible impact these new areas of media and technologies can have. Digital media, personal devices and tools are powerful ways through which people can express themselves on three interconnected levels. Groups – through your smart phone, across various social media platforms you stay in touch, and exchange information, with the groups you affiliate yourself with; family, friends, projects, colleagues, fans, classmates. Snapchat, Instagram, Facebook are not just platforms for sharing personal data but also a source of information, news updates and current affairs. Society – on an even higher level, you make yourself heard in society. For example, by influencing public opinion, you try convincing political leaders to welcome more refugees. Or you show your support against terrorism by posting “je suis Paris” on facebook.